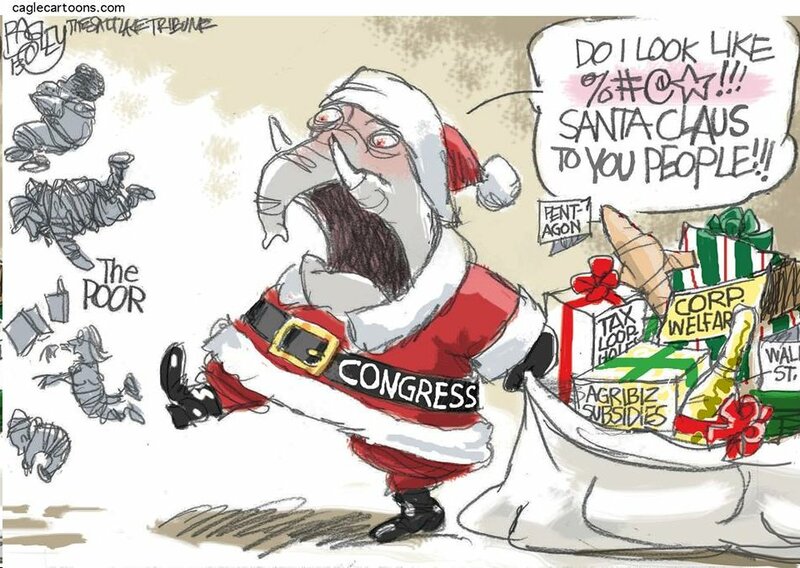 I love Bagley’s editorial cartoons in The Salt Lake Tribune. A huge shout-out to Sally Hayes for sharing this one on Facebook. Sadly, I’m one of the little people getting kicked to the curb again this year by Scrooge. This makes three years out of five that my plans to celebrate the fact that I’m finally home for the holidays have been scuttled by yet another attempt to render me homeless unless I submit to threats and abject abuse of power. My spirit has finally been broken, and I no longer have hope that this Humpty Dumpty is ever going to get put back together again. ← Holy Crap! I’m Officially an Old Broad.